desktop environments to the new Microsoft Windows 7 platform. The pain involved in making a manual migration in the usual way – in terms of lost working hours and consumed budget is potentially huge. 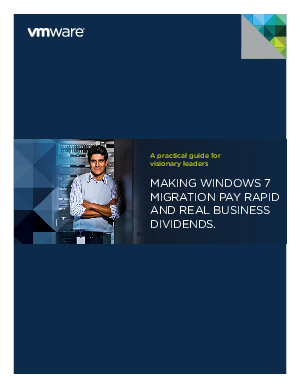 This white paper looks at how you can make the migration both less painful now and more valuable in terms of performance and operational improvements going forward.